During the incident, while the woman screamed for help, fellow passengers on the LRT allegedly laughed, according to a viral tweet that was posted Friday evening. They let the suspect walk away twice despite being able to describe how he looked, a friend of the victim alleged in a Facebook post on Friday. 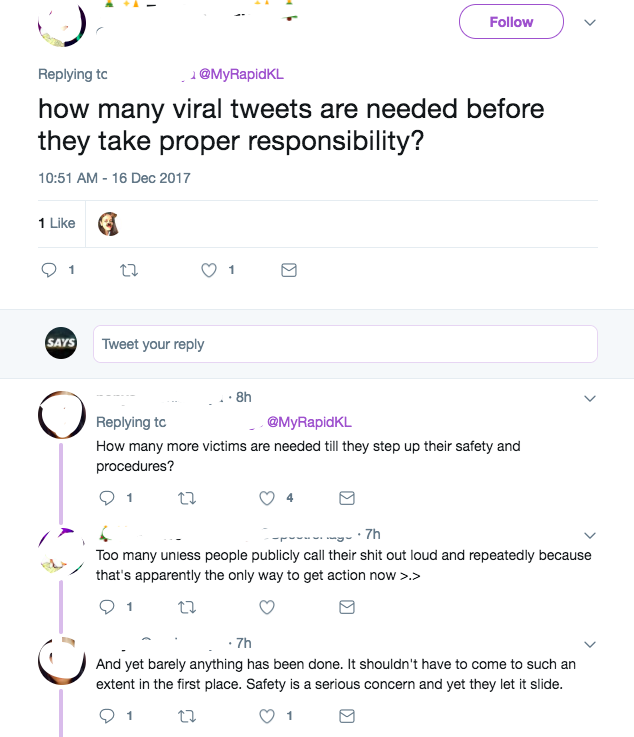 "Heck, your staff even allowed the perpetrator to board the service once again, even after knowing that he was in fact, a pervert on the loose. Tell me, Rapid KL, what sort of SOP do you require for your staff to take action against such horrible, disgusting crimes that occur?," the post on Facebook read. The management has even refused to share the CCTV footage of the incident with the victim despite the fact that she has lodged a police report. 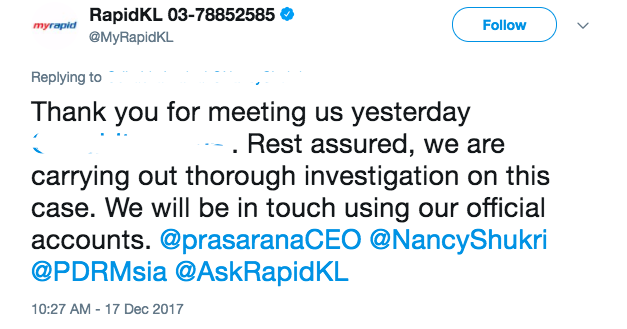 We refer to tweets posted today on a sexual harassment incident on-board our train, we would like to update that the suspect had been arrested and handed over to PDRM last night. However, the suspect who was caught was another perpetrator from a different case that happened earlier on Rapid KL. The perpetrator who sexually assaulted the victim is still on the loose. 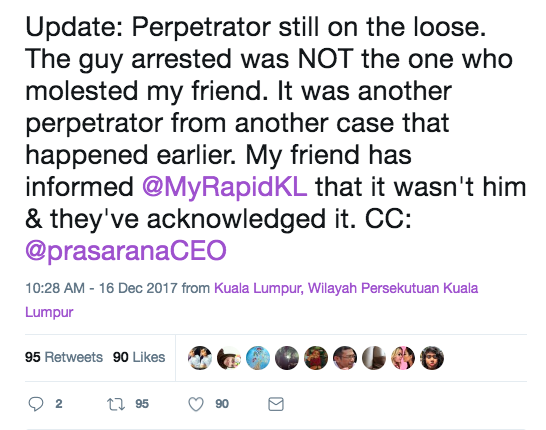 Following Rapid KL's social media post about the arrest of the suspect, the victim yesterday informed them that the person they caught is not the one who molested her. 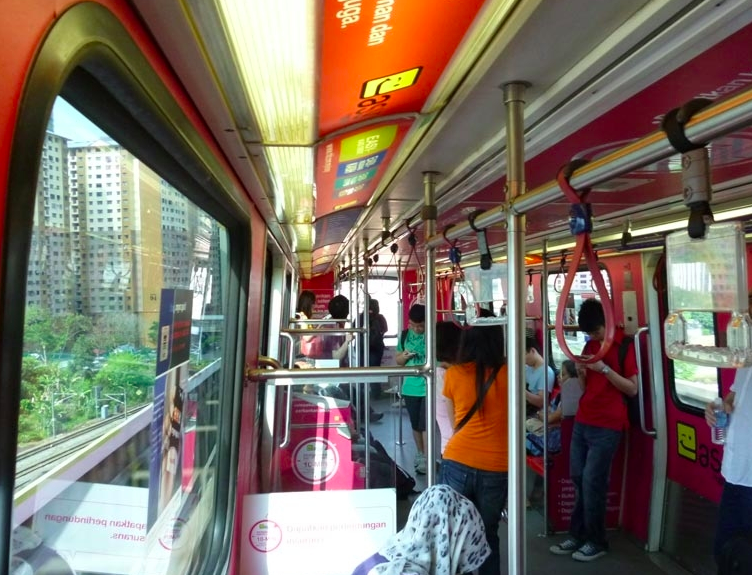 According to the victim's friend, Rapid KL has acknowledged her complaint. 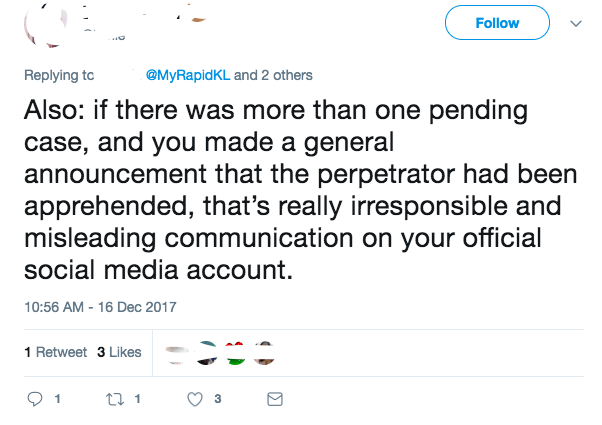 Following which, Rapid KL has acknowledged the same in a message to SAYS, assuring that they are "coordinating efforts with PDRM to apprehend the suspect". You can follow them for updates on Twitter or Facebook. She allegedly poured boiling water on him. They had gone to the recreational park for a picnic. A total of seven individuals have been arrested so far.